Ronald Acuña returned to the Braves this week following his ACL sprain in June but was removed from Atlanta's game Friday with groin tightness. He's currently listed as day-to-day and Charlie Culberson started for him in left field on Saturday. Acuña said after the game that he doesn't believe that it's anything serious.... Freddie Freeman was hit by a pitch earlier this week against the Yankees that caused him to have to leave the game, but he hasn't missed any time resulting from it. Freeman is in a terrible slump at the plate posting a 45 wRC+ since the middle of June with an unusually high 26% strikeout rate in that span.... Lorenzo Cain has been running and working out hard but the team still isn't quite ready to be activated off the DL, but it seems like it could be any day now that he returns to the team.... Nick Franklin was transferred to the 60 day DL on July 2nd for his quad strain.... Paul deJong returned to the Cardinals lineup on Friday and went 1-for-3 with two runs. He was slotted into the six spot in the lineup and should continue to hit towards the middle of Cardinals lineup going forward. Make sure he's not still sitting on the waiver wire somehow.... Tyler O'neill was placed on the DL on Thursday with a hamstring strain. 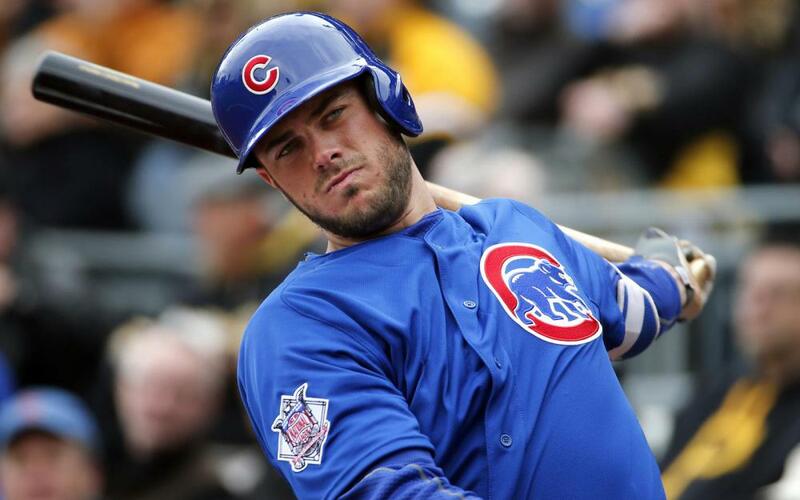 He had only been back with the team for three days before suffering the injury and he was used mainly as a pinch hitter.... Kris Bryant took BP on with the Cubs on Friday while he's currently DL'd with his shoulder discomfort. Joe Maddon said that he wouldn't be surprised if the shoulder continued to linger once he returns to the lineup. Bryant's batted ball data makes it seem like he would be due for some position homerun regression, but obviously a shoulder injury can throw a wrench in that.... Jarrod Dyson was placed on the DL with a groin injury on Thursday but the team isn't quite sure of the severity of the injury. Zach Buchannan covers the D-Backs for The Athletic and he tweet that there's some concern that it's similar to the injury he suffered last season that required him to undergo core surgery.... AJ Pollock is back with Arizona and has hit cleanup in every game that he's started this week. It's been a slow start back though as he's hitting just .154 in his five games, but is striking out 5% of the time with a 25% LD rate so he's making good contact and just not getting the results he is looking for.... Bruce Bochy told reporters that Evan Longoria has been doing very light baseball work including fielding some soft grounders and gripping the bat, but that he'll start ramping up his work in the near future. He says that the team is hoping for Longoria to return in the first week of August.... Lewis Brinson is currently on the DL with a hip injury. JB Shuck started in center for the Marlins on Wednesday but Cameron Maybin has gotten each of the last two starts for the Marlins.... Garrett Cooper started in left field for the Marlins Friday and went 2-for-4 in his first gaem action since April 1st. Cooper has impressive power (17 homers in 75 AAA games last year) so he's a guy to keep an eye on for NL only for now.... Jay Bruce is slated to take BP at some point this week but searching all through Twitter I haven't seen if the Mets have put a definite date on it yet. I'm sure the Mets are very eager though to get his 70 wRC+ back in the lineup so they will surely will try and get him ready to roll quickly (sarcasm)... Joe Panik left the Giants game early on Friday with a groin strain and he's going to have to go on the 10 day DL.... Yoenis Cespedes is returning to baseball activities this week and earlier in the week the it was reported that Cespedes was running 60 foot sprints at about 75%. We're closing in on two months from the last time that we saw Cespedes in game action, so the Mets are definitely hoping that he'll make it through this portion of rehab with no setbacks.... Matt Wieters is set to go to AA Saturday to begin his rehab assignment for his hamstring surgery that he underwent in May. The Nationals will welcome him back with open arms upon his return as the primary backup Pedro Severino has posted a 32 wRC+ in 61 games.... Ryan Zimmerman is set to head out on his rehab assignment on either the 8th or 9th of July. It'll be very interesting to see how the Nationals work the at-bats for Matt Adams and him as the emergence of Juan Soto in left field has locked up that lineup spot where they could before shift Adams too.... Franchy Cordero's 2018 has likely come to an end as he underwent elbow surgery to remove a bone spurs on the 2nd. In huge keeper/dynasty leagues he's still worth hanging onto as he should be 100% for spring, but redraft leagues can cut ties with him if you had him stashed.... No new updates for JP Crawford and his broken hand that had him out for about a month according to an update in mid-June. Scott Kingery has been the everyday shortstop and while his season line is still very poor he's been playing better since mid-June with a .296 average, but isn't walking much 4% and has a .085 ISO.... Sean Rodriguez is currently on his rehab assignment for the Pirates and his working his way back. He owns a 53 wRC+ for the year.... Francisco Cervelli is in AA working his way back from a concussion and the team is likely going to decide this weekend on what the next step is going to be for him. Obviously dealing with a catcher and concussions is a little trickier than other positions on the field.... David Dahl is now beginning to take BP in his rehab from his broken foot. It's now been a month since he initially broke the foot on a foul ball.... Trevor Story was scratched from the lineup on Saturday with a right foot contusion. Brandon McCarthy isn't going to return next week from his knee tendonitis and the Braves might just go with a four man rotation through the All-Star Break... Mike Soroka was moved to the 60 day-DL earlier in the week but it's not nearly as bad as it sounds. The Braves were planning to shut Soroka was going to be shut down for a month and then he'd likely have a month's worth of a throwing plan and a rehab stint before the Braves would think about activating him anyways.... Julio Teheran did not travel with the Braves to Milwaukee as he was dealing with flu-like symptoms. The Braves head home after wrapping up in Milwaukee this weekend and it's not expected that Julio will miss his next start.... Max Fried left Wednesday's start against the Brewers with a blister and the team placed him on the DL because of it. Fried was coming off an absolute gem against the Cardinals but struggled in his few innings against the Brewers, but the blister may have contributed to that.... No new news on the Michael Wacha front as he is schedule to be reevaluated in mid-July. John Gant has gotten solid performance numbers (1-1, 2.95 ERA) for the Cardinals in his three starts in place of Wacha, but the advanced metrics don't like him as he owns a 1:1 K:BB and a 5.13 FIP... Yu Darvish is still shut down from throwing per an update from the team on July 6th. His first season in Chicago has been one to forget.... Walker Buehler hopefully is going to be activated from the DL this upcoming week as he was likely going to start for Rich Hill on Monday, but as it turns out lefty isn't going to have to miss any time. Buehler was sent to the minors/DL'd after allowing five runs in one relief inning in his first appearance back from his rib injury.... Per an update on July 4th, Hyun Jin Ryu is still limited to flat ground throwing while working back from his groin injury. No further updates about a potential return though beyond that.... Julio Urias has been throwing bullpen sessions lately and in his most recent one he was throwing above 90 MPH, a huge encouragement for him coming off his major shoulder surgery last year. It sounds like he may throw some live BP to hitters as early as next week and there's still the chance we see him in July, but we aren't sure of the role he'll be in.... Jeff Samardzija is returning from the DL Saturday to face the Cardinals in his first start since the end of May. Samardzija has been horrendous this year with a 6.56 ERA while walking nearly six batters per nine.... Noah Syndergaard is pitch for the Brooklyn Cyclones on Sunday in a rehab assignment. He threw 50 pitches earlier in the week and with no setbacks he's able to step into the next portion of his rehab.... The Washington Post is reporting that Stephen Strasburg will make two rehab starts, starting on Tuesday, and then return the the Nationals rotation following the All-Star Break. The Nationals have fallen off and now sit five games back of the Braves and Phillies in the NL East.... Vince Velasquez made one of the most impressive plays I've ever seen taking a line drive off his forearm and then making a throw to first left-handed for an out. He was placed on the DL with a forearm contusion and it's unsure how much time he'll miss and the Phillies also haven't mentioned who they might use if Velasquez is forced to miss extra time.... Joe Musgrove is dealing with a finger infection and he's scheduled to throw a bullpen this weekend.... Homer Bailey rebounded from allowing three homers in a rehab start to allow just one run over 6.2 innings while striking out eight batters. This was his third rehab start and I'd guess that he's getting close to returning to the team. Arodys Vizcaino has been reactived by the Braves this week and has been reinserted in the closer's role for the team. Brian Snitker says that he wants to watch Vizzy's innings in the second half of the season so AJ Minter may be in line for more frequent save chances.... Bud Norris is dealing with a finger injury that left him unavailable Friday but he was able to pitch Saturday and he had a clean inning to close the door for a save. Greg Holland has been excellent as of late and will likely gather any save opportunities that Norris doesn't.... Carl Edwards Jr was activated off the DL for the Cubs on Friday.... Hunter Strickland was moved to the 60 day DL on Saturday while recovering from his broken hand after he punched a door... Bryan Shaw was sent on a minor league assignment on July 6th and the Rockies are looking to be closer to getting another impact arm to their bullpen. Jason Heyward has begun to look like young Braves' Jason Heyward over the last month and some change as he hit .327 in the month of June with a 133 wRC+. He also hit three out of his five homers on the season last month as well. His slash line for the season still sits as a pedestrian .279/.335/.422. A big help for Heyward this season is that his hard contact rate is at 34.2% which is a number we haven't seen since 2012 which was the year that Heyward went 20/20 for Atlanta. His HR/FB% currently sits at 6% and with a 34% hard contact rate, 41% pull rate, and a 38% FB rate rate we could likely see some positive regression in that category coming. Matt Harvey is pitching well enough for the Reds that he's actually getting some trade interest from around the league. I'm not really sure how it happened either. Entering Saturday's start where he allowed two earned runs in 5.2 innings, Harvey owned a 3.86 ERA across 53.2 innings with the Reds. Narrowing it down further he looks even better as well with a 2.31 ERA and a 2.64 FIP sicne June 15th thanks in part to an dropped BB% and he's keeping the ball in the yard against some very good offenses in the Cubs, Braves, and Brewers. His fastball velocity has also continued to rise as the season as moved on and he's averaged 94 MPH on it in his last few starts. Walker Buehler absolutely need to be under consideration for an add as he could return to the majors this upcoming week. Ignoring that one weird relief appearance two weeks back, Buehler has been absolutely dominant owning a .2.63 ERA (2.27 FIP) with more than a strikeout per inning against less than two walks per nine. He's dipped under the 50% threshold that we shoot for here and my guess is he'll be added in the majority of leagues when waivers go through this weekend. Seranthony Dominguez has notched four saves over the last two weeks as he continues to get the majority of the save chance for the first place Phillies. Dominguez has been absolutely dominant this year striking out 35.2% of the batters that he's faced while walking just 5.6%. Gabe Kapler used him for 1.1 innings on Tuesday, so we do know that he's not solely stuck in the 9th inning and that Kapler will deploy him whenever he sees fit.